Make a flexible plan at the start of your career; you may change jobs or move cities. You have just got a job but you are clueless as to how to manage your money. You either spend your entire disposable income or let your savings sit on the credit side of your saving account. Either way, you are not doing the right thing. Big organisations run on the simple principle of budgeting. The marketing department sets a campaign budget; the product department sets a research and development budget. Similarly, we set a budget before we think of making a big purchase. The same concept applies to our monthly expenditure as well. Write down your income and expenses. Try to limit the expenses by up to 60% of your income by budgeting the same. It can be done once you track, list, categorise and prioritise your expenses. Create your budget revolving around your lifestyle. Don’t try to copy someone else’s spending habit. Setting a budget in conformity with your expense can give you a lot of clarity and control. Also, the budget should not be so restrictive that living becomes a punishment. You can use apps like splitwise, mint, walnut, Intuit, Smart Spends etc. The budget set shall help you to reach at a definite income-expense ratio after several attempts of trial and error. You may find yourself succumbing to temptations courtesy brilliantly curated advertisements. Don’t worry. Keep aside a definite buffer sum for your crave-purchases. After adjusting various expenses for the first few months, slowly include savings into your budget. If you find savings difficult, then think long-term. Would you rather want a trip to Rome or fifty days of fine wine and dine? Learning to live within the means can be difficult in the present times but, your money-hygiene is just as important a discipline as your work-out regime. Financial planners suggest avoiding debt by keeping a check on credit card usage. Set short-term and long-term financial goals. At the start of your career, you may change jobs and cities. Make a flexible plan. Avoid committing to a long-term payment cycle like home loan if your work life and goals change frequently. Also, tying your savings into long-term products may not work if your goals change and you need funds immediately. Your investment plan shall also move like your savings plan. Park your investments in instruments which give you a lock-in which is similar to your financial goals. For example, if you are planning to get married in 3 years, then invest your money in an instrument with a 3-year lock-in. To hedge yourself against uncertainties, it is essential to build an emergency fund before assigning a chunk towards investment or savings. You have just started your career and you may get hit money-wise when you are exploring your options. Hence, an emergency fund can come to the rescue to give you some buffer time. Treat this fund as a cushion in order to remain debt free and review this fund from time to time. Investment is a term which is Mariana Trench deep. There are many products on the market you may not be aware of. Start simple. 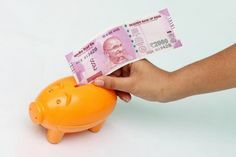 Focus on tax-efficient investment products like equity-linked saving scheme funds, provident funds and dividend incomes. Keep a certain amount aside dedicating to your retirement fund. Before splurging on couture think about getting a health and vehicle insurance. The investment options should be based on your financial situations. 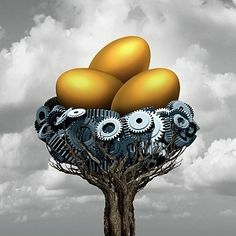 Putting all your money in equity in a stock exchange can prove to be financially fatal if you don’t have enough margin of safety to fall back on. While you can postpone life insurance for a while but, you shall cover yourself with a health insurance if you are self-employed. Banks may decline your loan petition in future if you have demonstrated a bad behaviour in repaying debts. Pay your bills on time. A good credit profile is useful later in life when you wish to borrow funds. Just like your country, you are also rated on your financial credibility.